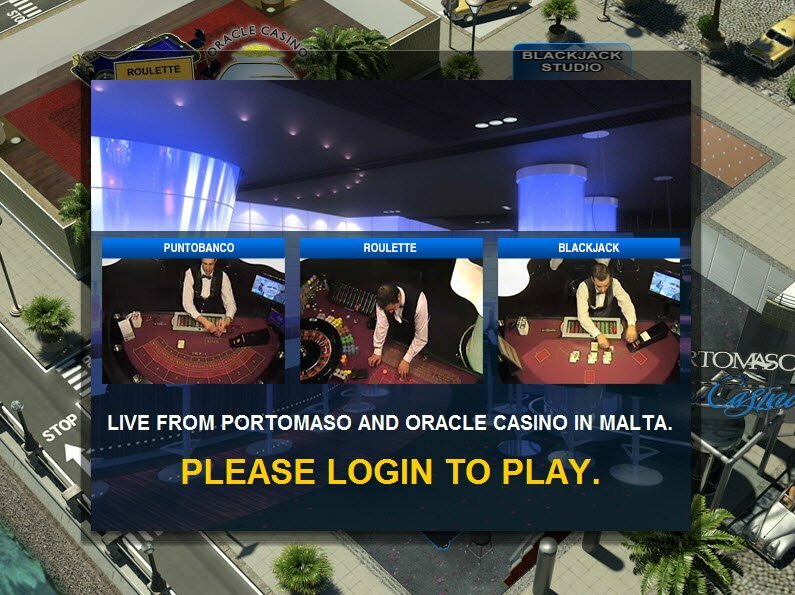 Portomaso Live Casino is no longer available . Click here for alternative casinos . Although the name gives the impression that the Casino only offers Live Dealer Games that is not the case with this gambling site. You can find more than just Live Casino at Portomaso. In addition to a very large selection of Live Dealer games, Portomaso Casino games also include popular Classic Slots, Video Slots, Bingo, Keno, Scratch Cards, and more from Net Entertainment software. Of course, you can also play Live Dealer Games such as Live Punto Banco, Live Roulette, and Live Blackjack. For those of you who haven’t spent countless hours playing online casinos, I’ll let you in on something. 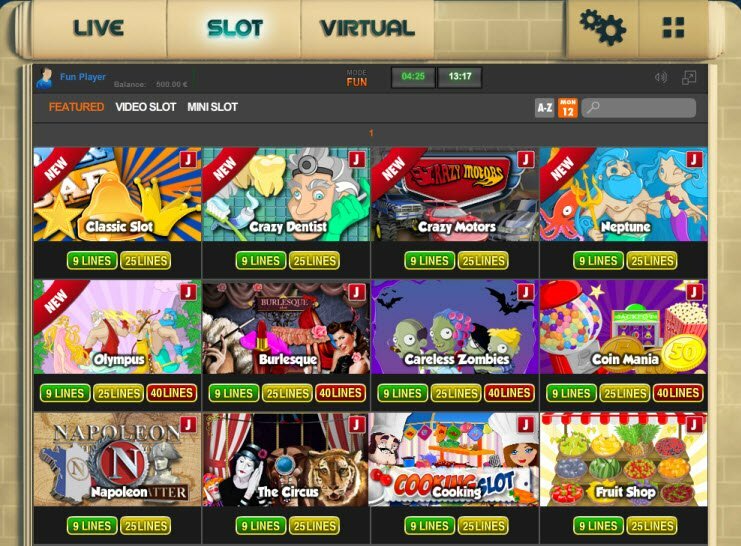 Hands down, Net Entertainment (NetEnt) software designs some of the best Casino Games available. They always feature state of the art graphics paired with cool, unique themes. 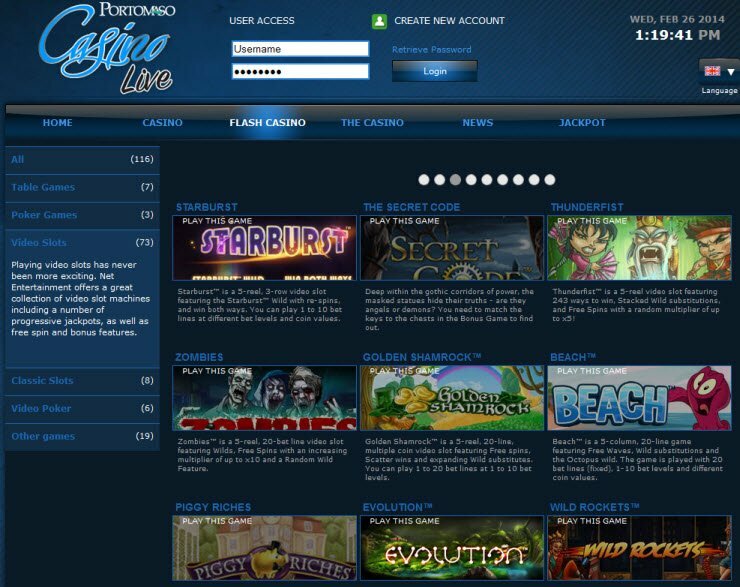 Portomaso Live Casino already earns high marks in my opinion because they offer over 100 Casino Games including popular names from NetEnt software. In addition, players who want that real Casino experience, can play the Live Dealer options including Live Roulette, Live Punto Banco, and Live Blackjack. Portomaso Live Casino already earns high marks in my opinion because they offer over 100 Casino Games including popular names from NetEnt software. When it comes to Bonuses, Portomaso Live Casino seems to have come to the party. They offer a 100% Welcome Bonus, along with 10 free spins on the Gonzo's Quest Slot. Players can also enjoy several other Portomaso Live Casino promotions including; reload bonuses, monthly prize draws, free spins and loyalty cash bonuses. Portomaso Live Casino payment methods do include some of the bigger names in online banking, but the list of options isn’t very long. This isn’t that unusual. Not all banking systems agree to work with gambling sites so it’s not likely to see a very long list of acceptable payment options. At least when it comes time to make a deposit or withdraw payouts, you’ll have the option of using safe, reputable companies. Don’t worry, your money will get where it needs to go. Should you need any assistance, the Portomaso Live Casino offers a number of different options for you to get in touch with their customer support team. On their website, they provide Skype account details in order for you to contact them directly. This may prove problematic for those who don’t happen to have a Skype account already. If this is not an option, they provide email and mailing addresses in order to contact them for support. In addition to this, they also offer a live chat option, allowing you to get in touch where their staff directly.